The ARS Technologies isa-pc104 lets you use your PC/104 peripheral cards through USB, together with USBISA-SLOT, and control them without the need of a microprocessor module or an embedded operating system. The isa-pc104 also lets you mix and use of ISA cards together with PC/104 cards. ROHS compliant - recommended for customers in the European Union, and all other countries. Dimensions5.75 X 2.5 X 1.0 inches, 15.0 X 6.5 X 2.40 centimeters. 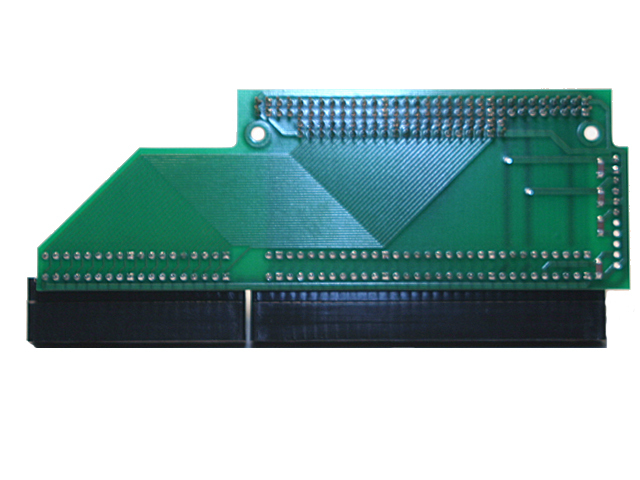 The isa-pc104 connects with the USB 2.0 to ISA slot version card (USBISA-SLOT) to drive the PC/104 bus for PC/104 cards and the ISA bus for ISA cards. The isa-pc104 is powered through the USB cable and is capable of using the POWER SUPPLY MODULE to provide additional voltages to the peripherals on the PC/104 and ISA buses. To find more about the PC/104 to ISA adapter please read HANDLING PC/104 PERIPHERALS.